Back-To-School Safe Driving Tips | Holland & Usry, P.A. Few things in the life of a child—or parent—generate the host of emotions that returning to school does: the promise of a new year, the excitement of reuniting with old friends and making new ones, and the sorrow of summer's passing. Being caught up in the tumult of back-to-school activities can be extremely distracting; even just dropping off our children or picking them up can require a significant adjustment after the lazier summer months. That's why drivers need to focus even harder on what matters most in school zones: keeping our children safe from car wrecks. Sadly, just gettting to and from school poses a real danger for children of all ages. According to AAA, more school-age pedestrians are killed in crashes right after school, from 3-4 p.m., than at any other time. And it's not just elementary schoolers. Tweens and teens are equally vulnerable, especially since so many of them are now plugged into smartphones or texting as they walk. One study showed teens aged 15-19 accounted for half of all child pedestrian deaths. The National Highway Transportation Administration reports the greatest danger for the 23 million children who ride the bus is approaching or leaving the bus. Not riding it. Stop, look, and listen. Stop completely at all stop signs. 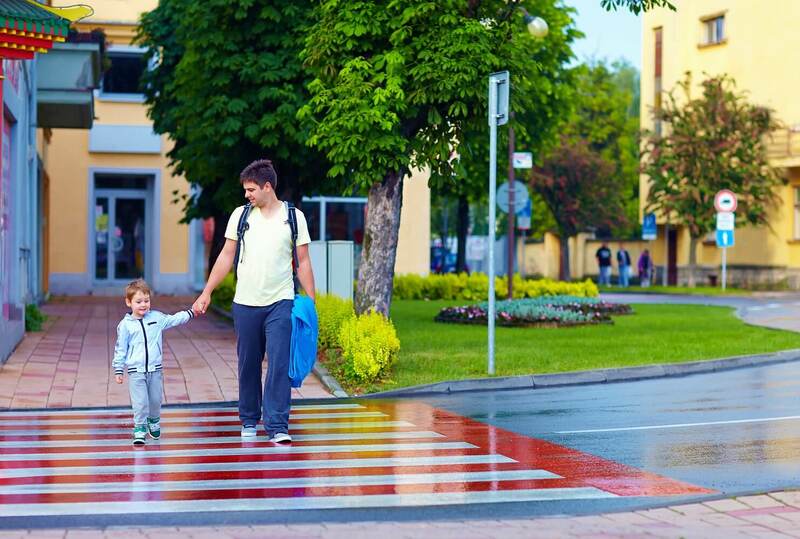 Look for child pedestrians at all points of the intersection, and everywhere in your field of vision. Listen for approaching children outside your field of vision. Turn off the radio and roll down the window. If children are at the intersection, make eye contact with them before pulling off. Until they look at you, assume you're invisible. Children do not perceive the danger posed by your car and might not notice you. Slow down in school zones, and expect the unexpected. Don't go the speed limit—go slower. Watch for children everywhere. Remember a child can pop out from anywhere, and the littlest ones sometimes move the fastest. Take extra care in reverse. When backing up, turn off the radio and roll down your window, especially if you have an SUV without a rear-end camera. SUVs are notorious for their blind spots that can lead to crushing an unseen child behind you, but it can happen in any size car. Take special care with buses. While driving, keep extra distance between you and school buses. Avoid rear-ending them. Beware school bus warning lights. Yellow means it's about to stop. Red means it's stopped. When it stops, so must you, and be ready to see children walking right across your path. When they are stopped, give buses extra space—at least ten feet—to load and unload. When the bus leaves, wait just a few more seconds to be sure you're clear before pulling off. PUT DOWN THE PHONE. I know I'm hollering. Studies show talking on a cell phone while driving creates the same risk of a car crash as driving with a .08 blood-alcohol level, the "legal limit." No telephone call or text message is more important than a child's life. Assume you're in charge of every child's safety as if he or she is your own. We're all called to look after each other, and this is a vital part of how we do it, every single day. At Holland & Usry (888-230-1841), we wish your child every success this new school year, and hope we all pledge to keep everyone's child safe, every day.